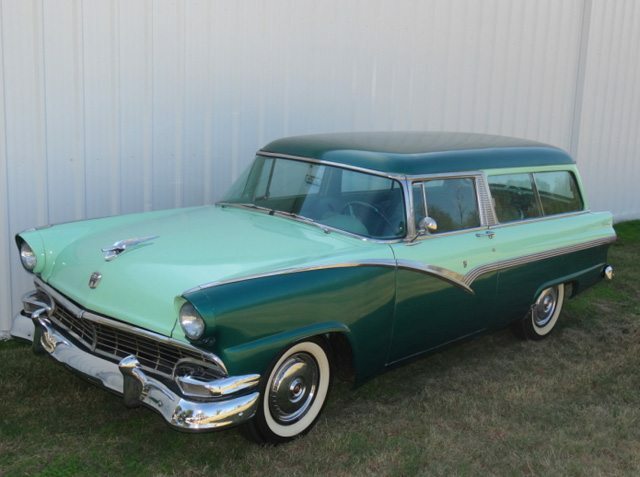 Introduced to compete with the Chevrolet Nomad, the Ford Parklane was a one year model for Ford in 1956. 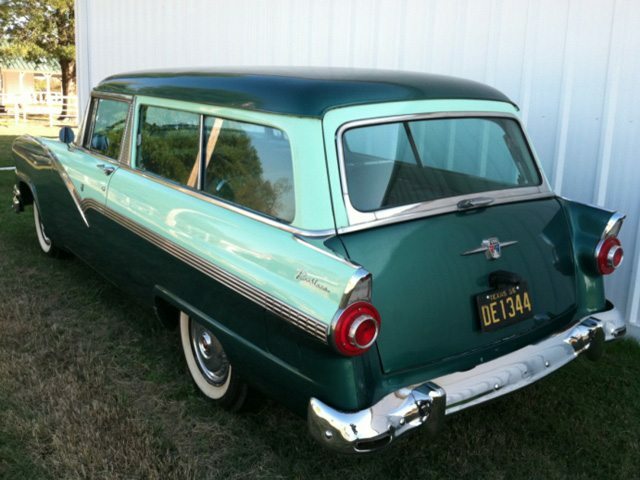 Despite the clean design of a 2 door wagon, buyers just weren’t that interested in a well appointed 2 door wagon. 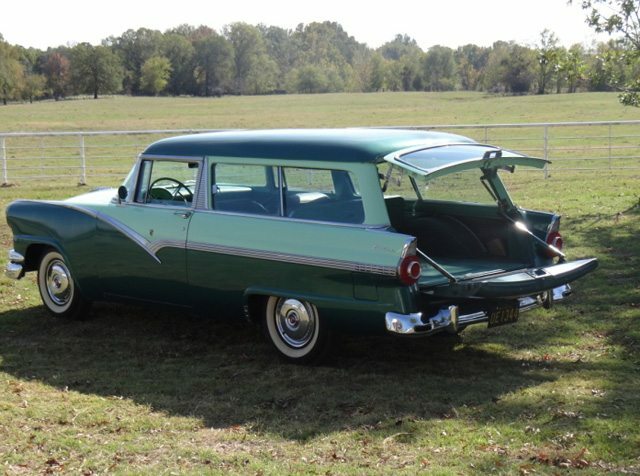 Today everyone knows of the Nomad wagon, but the Parklane for ’56 actually outsold the Nomad by a 2 to 1 margin. 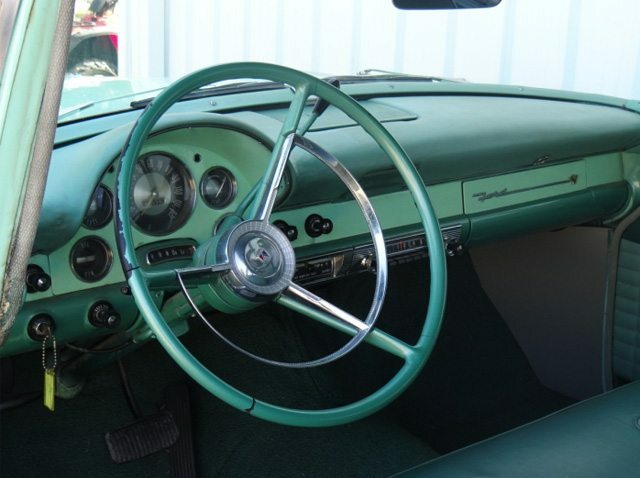 Adorned with the distinctive Fairlane trim and a more upscale interior the Parklane was the most expensive Ford of 1956. 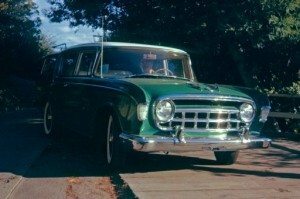 This Parklane found at Hemmings was restored in 2000 including rebuilding the 312 4bbl V8 and the Ford-O-Matic 3 speed transmission. The Parklane has been repainted in the correct 2- tone Meadow Mist green and Pine Mist green. 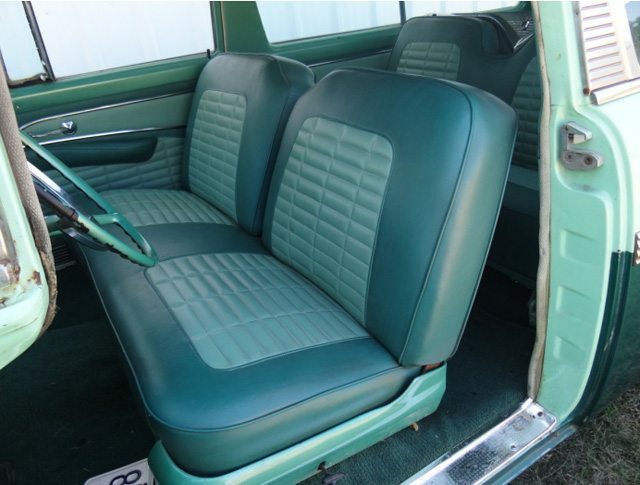 The interior has been refinished in the correct 2 tone green. 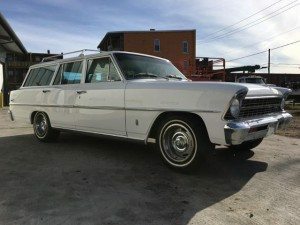 With an asking price of $29,500 it’s not cheap but then again when was the last time you saw one. 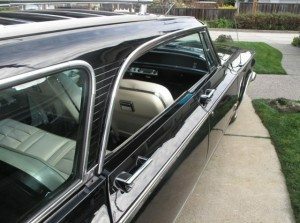 Just wondering if this car could have possibly had a small dent in the passanger side of the dash where I broke my front teeth when my Dad slammed on power brakes in about 1961. 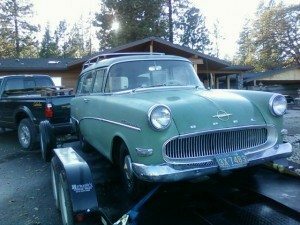 I sold this car, after being wrecked and parked for 20+ yrs. for $100.00. Car resold to man in Rockwell, NC. Resold to man in Salisbury, NC. This is the last I know of this car. Rockwell man replaced tailgate and wrecked door. Just inquiring for nostalgic purposes. Reliving my teenage years. 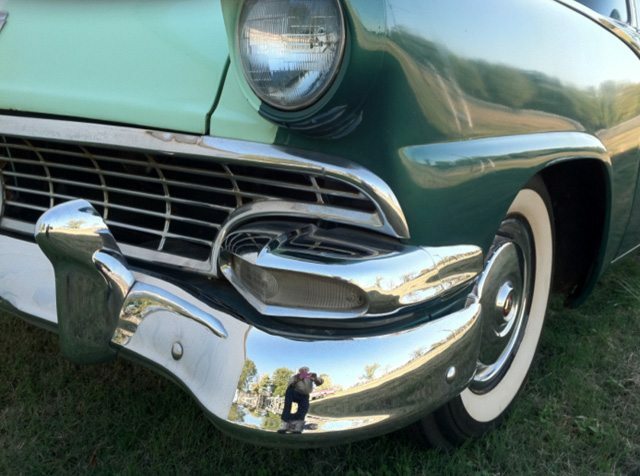 I am proud and sad to say that I once owned the Parklane that was presented to Los Angeles TV Cartoonist, Frank Webb, as part of his payment for designing the “Ford Shaggy Dog”, used in 1957 advertising campaigns. That car was used as the painting model for the ads, that year in National Geographic. 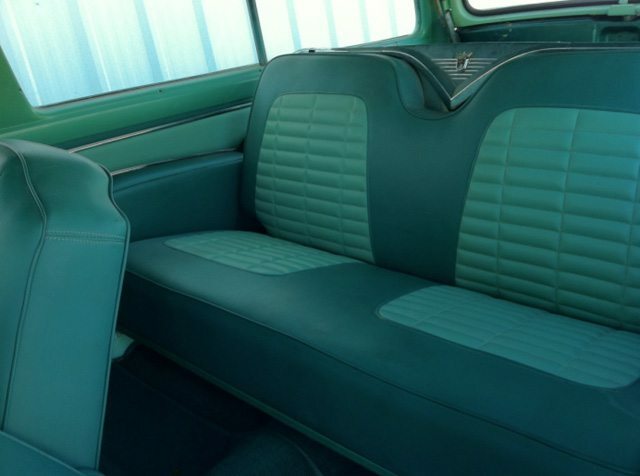 I got it in early 1965, in fair shape, as it only needed minor exterior touch-up to its Blue on Blue paint. 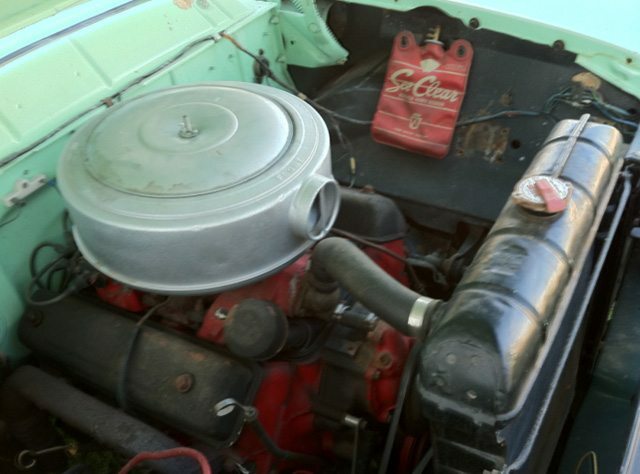 But I had to put in a engine, a 312 T-bird, 245 horse and redid the interior with Oak cargo panels and a three speed transmission. In 1976 I met Mr. Webb, who was teaching kids cartooning in Santa Barbara’s Rusty’s Pizza Parlors, as he had “cartooned” the Party Rooms in the 5 Parlors. During conversation, he told me about the car. I asked if the licence number was IJY 569 and he said yes. So the following week I brought him an 8 by 10 of ‘his’ car that I had restored, which brought a tear to his eye. 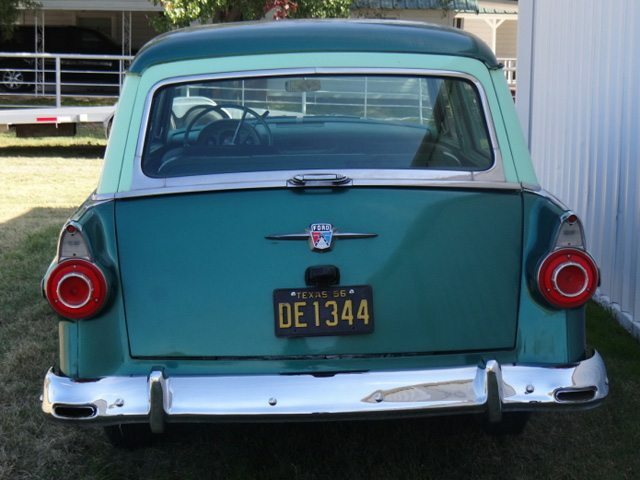 But the sadder part was that, I sold the car, to buy a 57 Fairlane and a week before I was drafted at the end of 1966, the Colorado DMV contacted me to pick up the car. It had not been re-registered and had gone over a cliff in Colorado, so would I come and pick it up. Of course I couldn’t, but I still kick myself for letting that car go. I still have two of the Ford porcelain “Shaggy Dog” promo Banks and he signed them for me, in 1976.